Cake! Over the last few months I’ve made a few exciting cakes. 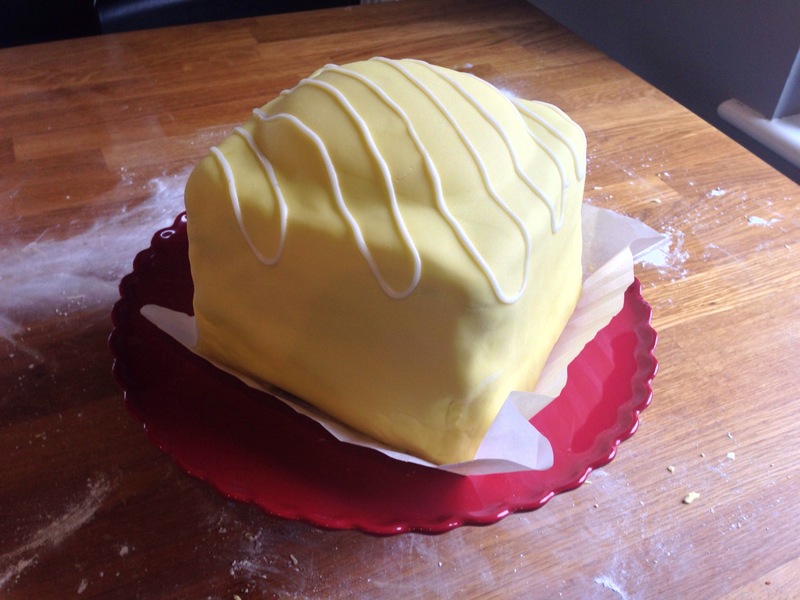 First from the Clandestine Bakery book a giant fondant fancy. This was an awesome lemon cake, with an entire jar of lemon curd in it! It also survived the 2 hour car journey which is now one of my new measures of a successful cake! Then for Tim’s grandma’s birthday the most awesome cake I have ever made. 2months of planning and researching the best recipe for carving, how best to shape, colouring icing, decorating, making it shiny…all led to this! 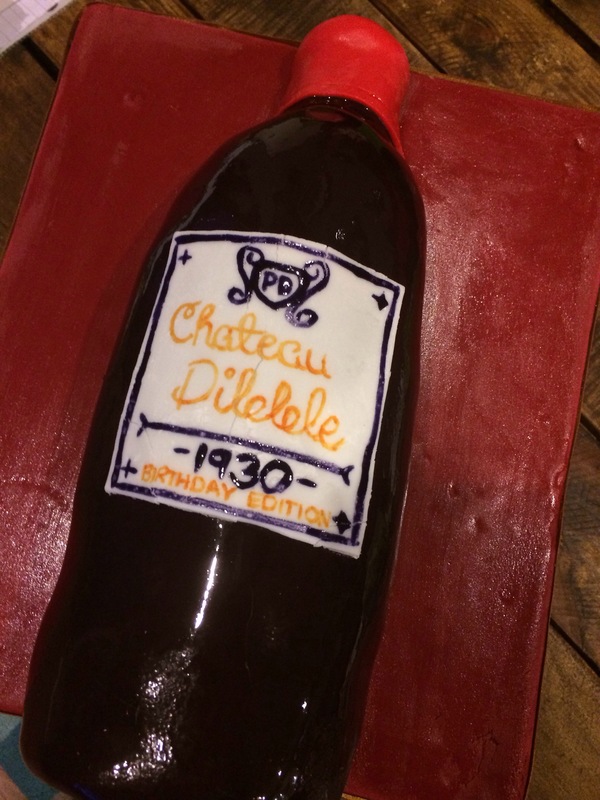 I used this recipe which was easy to carve and tasted delicious! Then for one of the cake clubs at work I made Pink leopard print cupcakes from RosieCakeDiva (video on youtube) but forgot to take a picture! 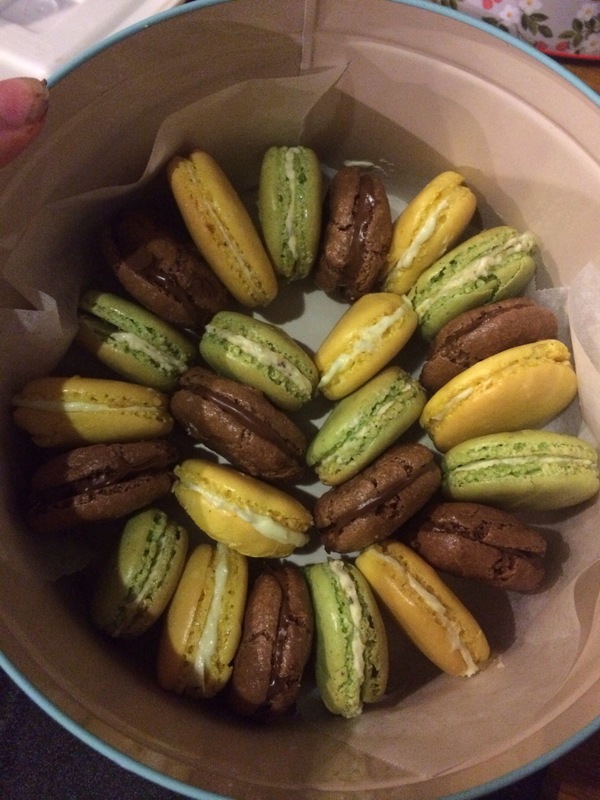 However I did also try out Macaroons which were absolutely delicious! We have lemon, pistachio and chocolate flavour. Easy to make and I’ll definitely do these again soon. Update: I had forgotten about the pink champagne cake for Hannah’s birthday. 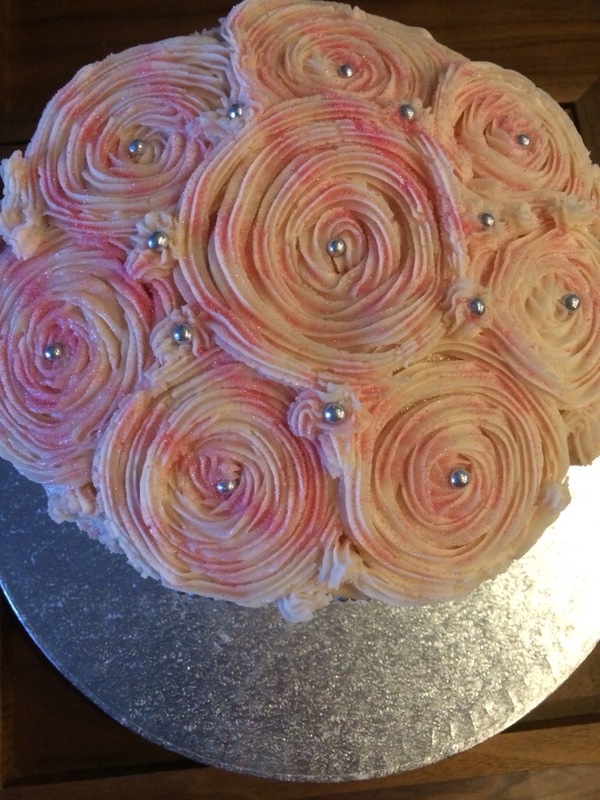 My first attempt at using an icing nozzle and it actually worked our ok!